It’s been a year for desserts: Wowfulls and DŌ gave you throwback treats like cotton candy Pop Rocks ice cream and raw cookie-dough scoops. 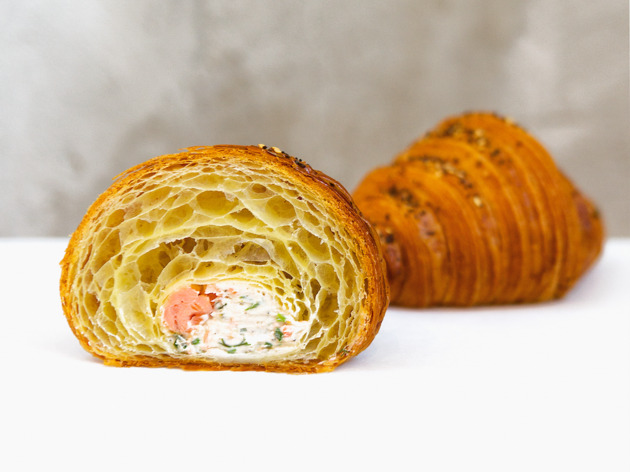 Now a new bakery from Ry Stephen of Mr. Holmes Bakehouse in L.A., San Francisco and Seoul takes it one step further with far-out sweets like a charcoal-meringue–stuffed squid-ink brioche and a torched-meringue–topped Cruffin filled with coconut-lime curd. 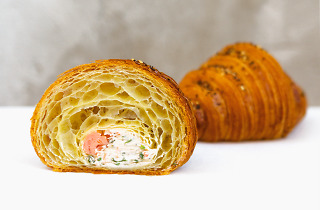 But the standout morsel is the NYC (New York Croissant), a buttery everything-bagel croissant packed with cream cheese, capers and chunks of lox.